NetSupport scores two finalists’ positions in the 2018 Tech&Learning Awards! The Tech & Learning Awards of Excellence are a long-established benchmark for education technology products and services across the USA. This year, the judges have changed their criteria slightly, judging products on two key factors: their uniqueness in the classroom, school, or district; and whether they solved specific problems. 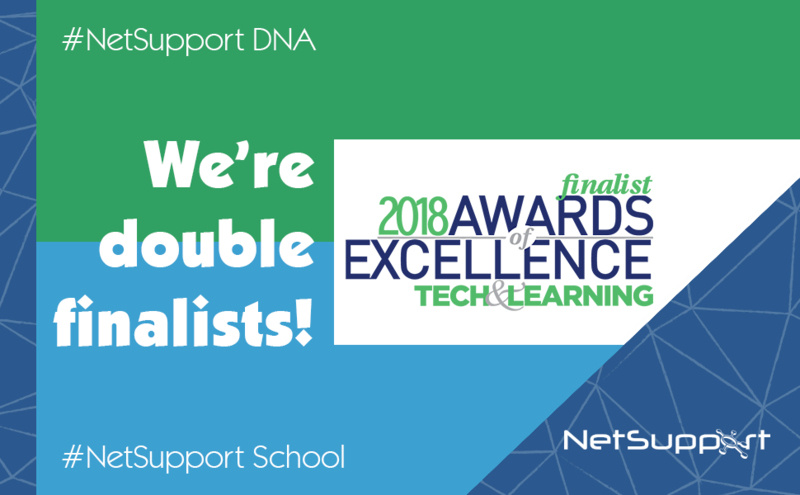 Ten finalists were selected in three categories and NetSupport is delighted that not only has NetSupport DNA (Education Edition) been shortlisted in the “School” category, but NetSupport School has too, in the “Classroom” category! The winners will be announced in a special reception at TCEA which takes place in San Antonio from February 4-8th, 2019.